Stargazing is considered to be one of the most popular summer activities for campers. But for many stargazing enthusiasts, ideal star watching locations have become increasingly hard to come by as the skies have been tainted with artificial light from suburban areas. So what’s a star watcher to do? The International Dark-Sky Association (IDA) recommends visiting a national park. But there’s a catch: not all national parks have crystal clear skies. Instead, you really have to go camping at the remote national parks to truly enjoy an evening of stargazing. Here are a few national parks that are known for breathtaking magnificence of the stars in a clear, dark sky. Bryce Canyon National Park in Utah is considered to be one of the last great refuges for stargazing. On a clear, moonless night, it is possible to view around 7,500 to 10,000 stars scattered across the sky. This national park has an active astronomy and night sky program that is run by a special group of volunteers who call themselves the Dark Rangers. At any given night, the Dark Rangers guide some 100 to 300 people who come to visit the park just to view the night sky. These visitors are treated to multimedia presentations and are given free use of 40 telescopes placed across the park. These presentations are usually delivered at the Bryce Canyon Lodge. Be sure to check out the Visitor Center first for any venue changes. Bryce Canyon National Park also hosts an annual astronomy festival that attracts thousands of people from across the globe. This year, the festival will be held from June 29 to July 2. The Grand Canyon is famous for its dramatic landscapes at night. On a night with a full moon, the moonlight creates eerie images on its famous rock formations. On moonless nights, you’ll be able to see the Milky Way sweeping across the dark sky against a backdrop of thousands of glittering stars. Stargazing is not part of the Grand Canyon National Park’s guided tours, but you can do so on your own. There are trails along the north rim and the south rim of the canyon where you can enjoy a marvelous view of the stars. You can also attend the annual Grand Canyon Star Party hosted by the National Park Service in coordination with the local astronomy clubs of Tucson and Phoenix. This year, the party will be held from June 18 to 25, and will include slide shows and interactive lectures about the stars. You can also make free use of the telescopes provided at the Grand Canyon Visitor Centers and the Grand Canyon Lodge. Away from the bright city lights of Las Vegas is the Great Basin National Park. Despite its proximity to Las Vegas the park is home to one of the darkest skies in the United States where all that glitters are the stars. Thanks to the low humidity and low light pollution above Great Basin National Park, you will be able to see thousands of stars, man-made satellites, five of the planets in our solar system, and the vast Milky Way Galaxy. The Great Basin National Park has its own troop of Dark Rangers who guide visitors on their stargazing adventures. These tours are held every Wednesday and Saturday evenings. The best spots to gaze at the stars at the Great Basin are the parking lot at the end of the Wheeler Peak Scenic Drive, the Mather Overlook, and the Baker Archaeological Site. 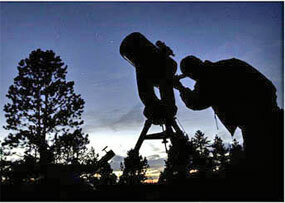 The National Park Service has also recently started hosting a star party at the park. Now in its second year, the Great Basin National Park’s Annual Astronomy Festival will be held on July 28 to 30, 2011. In the daytime, Joshua Tree National Park is a dry desert; at night, it is the playground of stargazers. Within Southern California, Joshua Tree National Park offers the best opportunity to find pure dark skies. Regardless of the season, the skies of Joshua Tree are typically clear, thanks to its low desert humidity and the surprisingly low levels of light pollution there. This summer Joshua Tree is offering Night Sky Programs from May through July. Joshua Tree rangers encourage visitors to "tour" the Milky Way by following its path with binoculars, where you’re bound to see vague star clouds burst into thousands of star clusters. The Natural Bridges National Monument holds the distinction of being the first park in the United States to be declared a Dark Sky Park by the IDA. According to intensive studies by the IDA, the Monument is the only place in North America to have a Bortle Class 2 sky. The Bortle Class system is a measure of the sky’s darkness at night, with Class 1 being the most pristine and Class 10 being the most polluted by artificial light. To maintain the purity of the park’s skies, the Monument’s management replaced most of its outdoor lighting to make it friendlier to stargazers. Its efforts have paid off, making the park not just perfect for stargazing but also safer and more energy efficient. The sky at the Monument is truly marvelous, its beauty magnified by the fact that the park is located at an altitude of 6,500 feet. Although the park is open year-round, the rangers hold their stargazing tours only in the summer. Stargazing is an enjoyable summer activity. A view of the stars in a pristine dark sky is truly marvelous to behold, bound to fill us with awe and wonder at the beauty of the universe beyond us. Sadly, we have lost the ability to view the stars at most of our own backyards. But all is not yet lost. As long as the skies are still dark at our national parks we will always be able to go camping at these parks and enjoy stargazing in summer. How about stargazing in state parks? Cherry Springs State park in PA is darker than dark at night. Made stargazing easy and fun. I like going to Allegheny NF in PA. It gets very dark and plenty of stars on a clear night. The best place so far that I have been for star gazing is at Yellowstone. Up in the mountains on a clear night. You can not believe how many stars are out. I second the recommendation for Cherry Springs, PA; if you are a photography or time-lapse video hobbyist, it’s definitely worth checking out. ISS Detector – give you lat/long/degrees elevation and time of viewing. Alarm can be set to warn of impending visuals. Google Sky Map – there are several varieties of this type map available. I’ve found this to be my go-to and have since dumped any others. 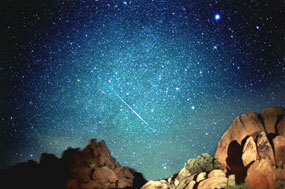 Meteor Shower – gives you an idea of what routine meteor showers can be viewed throughout the year. Ie, Perseids, State Tue Jul 17, Peak Sun Aug 12, End Fri Aug 24.
spaceweather.com is also useful for upcoming events, though I’m not sure if they have apps.